Represented a client claiming renewable energy credits (specifically the SC biomass resource credit) throughout development and power production of project. Assisted McNair lobbying team working on legislation to increase the credit provided by the "South Carolina Clean Energy Tax Incentive Program" for manufacturing renewable energy equipment. Worked with independent power producers, including negotiation of power purchase agreements. Represent and advise developers in connection with Low-Income Housing Tax Credit projects at all stages (including syndication of the tax credits). Jeff focuses his practice on tax and business matters. He provides advice to clients on a variety of transactional matters and represents clients in tax controversy matters before the South Carolina Department of Revenue (DOR), Internal Revenue Service (IRS), South Carolina Administrative Law Court, United States Tax Court and United States District Court. Jeff helps clients navigate corporate transactions, including formation, operation, purchase, sale, reorganization, merger, and dissolution of corporations, partnerships, limited liability companies, and tax-exempt organizations. 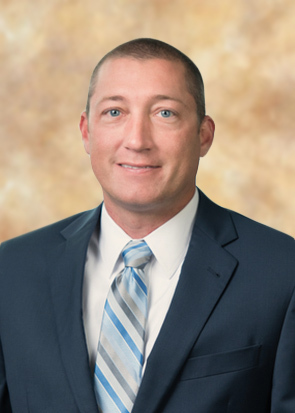 Jeff also provides large employers with compliance and design advice on group health plans, welfare benefit plans, retirements plans and ERISA requirements. A substantial portion of Jeff’s practice focuses on state and local tax matters, including property taxes, sales taxes, income taxes, corporate license fees, state and federal investment and production tax credits, and economic development incentives. He helps clients understand and minimize their state tax obligations. In the economic development arena, he helps new and existing businesses secure state and local incentives, such as fee-in-lieu of tax agreements, special source revenue credits and grants. In state tax controversy matters, Jeff represents individuals and businesses in South Carolina on income tax audits, sales tax audits, liquor by the drink audits, property tax audits and responsible party investigations. In federal tax controversy matters, Jeff represents individuals and businesses on income tax audits, conservation easement audits, trust fund penalty investigations and collection matters.